LotusTalk - The Lotus Cars Community > Lotus Discussions > Powertrain (Engine, Transmission, etc) > Throttle control issues... And more! I am surprised no one else has said it, and maybe I am overlooking something, but it sounds like you need a new throttle position sensor. I believe they are a stock toyota part. I don't recommend trying to source one through Lotus. It's a drive-by-wire car. 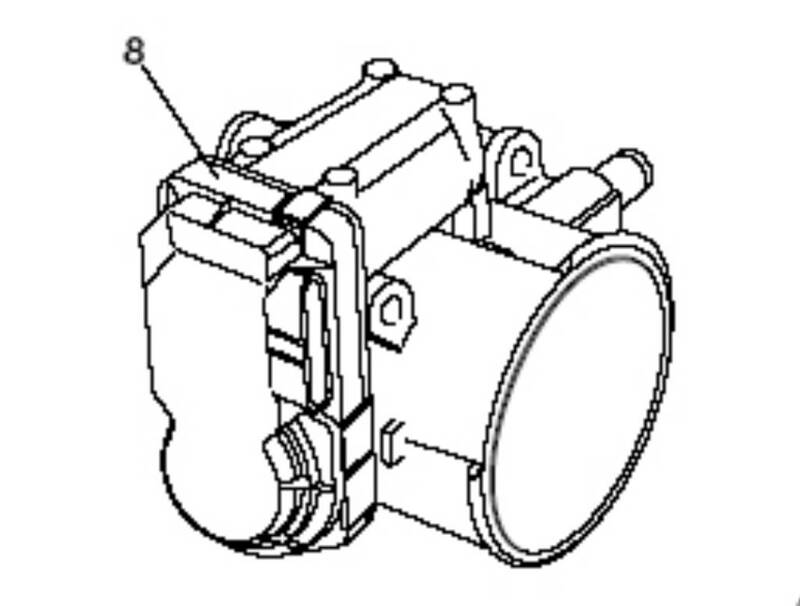 The TPS is part of the Throttle control system on the throttle body. It's a $2000+ part. I would have to agree that the problem lies with the throttle body and not the throttle pedal. You should be able to remove the throttle position sensor from the throttle body and test the resistance with a multimeter to determine if it should be replaced. You should also be able to find a new throttle position sensor alone and not have to buy a complete throttle body. The throttle body and the throttle position sensor are not bespoke Lotus parts. Pull them off and find some part numbers/names on them and search. There has to be a solution for less than $2,000. There is no independent part number. Taking a circuit board apart will do me no good. Ice spent the last 6 months chasing this issue, if it was as easy as a TPS I would have addressed that already. All of those you may need to look at, but if your throttle is failed, it isn't a lotus specific part and you can find it on eBay. Part number is 22030-22030 - There arent any on ebay right now, but that is unusual. You'll have to go to parts brokers o get it, but it's normally under $100. Or you could use the chinese knockoff as well. Last edited by kfennell; 05-23-2018 at 03:36 PM. That's seriously more progress than I've made in months. Thank you very much! Yep, I just found the part number, same as kfennell, 22030-22030. Brand new from toyota for a little over $500. There is likely rebuilt or replacement brand parts available for less. The pedal sensor is being recorded by ECU without any problems. The throttle body sensor is going to "Idle" position. The ECU does not like the feedback from some sensor on the car and is going into "Limp" or "Safe" mode. There are two feedback sensors on the pedal sensor. This allows the ECU to make sure it is reading correctly. I do not know if the the pedal sensor is the combination of the two or just one of the sensors. My guess is that it should be the sum of the two. The pedal sensor is a standard GM part. If you cannot find it, let me know, I have one sitting on my test bench. @kfennell , don't you have a throttle body for sale or did you sell it already? Are the two pedal sensors supposed to read the same? I didn't have both logging but in a few if my early snapshots they were reading wildly different values. For example 19% on one and 9% on the other. I'll add the other pedal sensor to the logging for tomorrow's testing. It was a DBC throttle body off some Toyota, but it is sold. I don't believe the ECU gives you access to both pedal sensor inputs. They are basically used as a redundant input, if they are not similar, then there is a problem. My issue is that you are not seeing any spikes in the pedal sensor. I can see if the two pedal sensor inputs did not match, it would return the throttle body to "idle" position. I can also see if the ECU did not get proper feedback from the throttle position sensor, it would return the throttle body back to "Idle" position. I would check and clean the throttle body connector first. The pedal sensor is less likely to have a corrosion problem. Naturally, since I finally had logging working and wanted to get a good group of data from the ECU, the car started right up just fine today. Went for a drive and used that to verify the two throttle pedal sensors. Based on this, it appears the pedal is working fine. However since the car wasn't having any issues it's hard to say for sure. I had actually tried disconnecting the battery and even the ecu prior to changing battery, but the problem still come back. Only after changing the battery has it not return since. Fingers still crossed! Sounds like the time to replace the battery did a full reset on your system. I need to go through the invoices for all of the work done to my car when the shop made it smog legal. If I recall correctly they charged me for a new o2 sensor. I went in today and removed the CEL delete they had installed and it is clearly not a new o2 sensor. After removing the CEL eliminator it was like a new car. The starts are much quicker, the idle is smoother, and I have better throttle response. I also have no CEL... Yet. Tomorrow morning a cold (ish) weather start should let me know if this was the majority of my problem. I have a ton of log files to sort through tomorrow too and see if I can find any differences between before and after the change. Sounds like there is hope now. Let us know how it turns out. It's amazing how one sub-$10 part can cause so much havoc most of my issues have disappeared since removing the CEL eliminator. The car runs well for the most part. I have a code for a slow response on the downstream O2 sensor as stated before but that should be a pretty easy fix once I get around to it. The bigger issue is the odd bogging that it does occasionally. I finally got a log of it happening. Below I attached two graphs of what it's doing. The first shows my Speed, throttle position and a crazy spike in load. This drive is on a perfectly level street. The second shows the RPM. I split them because the difference in scale made the info on the first graph too hard to see when all 4 were on the same graph. Any ideas what could cause a load spike like that? Just noticed that there is a corresponding change in fuel trim. I don't really know how to read fuel trim. Anyone smarter than me know if this is a symptom or possibly part of the problem? With the other symptoms you said that you have witnessed; gauges changing, etc, I would start looking for a ground at the motor. It has been a frustrating few weeks. The good times after removing the CEL eliminator didn't last. It's back to how it was. I've also added a few other symptoms to the list. My start button hasn't worked well for a while. Finally got around to disassembling the button and testing it and it's fine. This made me start wondering if these could be related. Could this be immobiliser related? The start button absolutely could, but what about the throttle issues? Since the last update I completely redid all my wiring at the battery, the cables had been very bad previously. I also installed a battery shut-off since I'd been meaning to do that. I did a visual inspection of engine ground through the wheel well and all looked good, but in the next couple of weeks I plan to get the car up, take the engine pan off and check it more thoroughly. I also plan on buying a new battery when I can afford it. Unfortunately this is all going on while I'm in the middle of a job change and big move. I've found a copy of the alarm system manual and some wiring diagrams and this afternoon plan on trying to disable the immobiliser. That doesn't seem nearly as common with the PFK system. The reason I'm going after the alarm is around the time this all started I started getting an occasional weak half chirp when I unlocked the car. It's a long shot, but it may at least fix my start button issue. Edit: I have read SirLotus' account of chasing this start button issue, I will be following his steps as I can. Unfortunately the PO glued the panel the alarm control is behind into the dash which will slow me down a bit. Last edited by daehimeh; 06-05-2018 at 02:06 PM. I was having issues with my throttle as well recently. Even my MIL light was on with a code that pointed at a faulty throttle body control (DBW). I was also having intermittent ABS coming on issues. I changed to a new battery 2weeks ago and the problems had not come back since. Fingers crossed. Maybe worthwhile to check your battery. How has your car been? Still fixed since the battery?